The fashion collection at Killerton has opened its doors for 2018 with a new exhibition called Branded: Fashion, femininity and the right to vote. 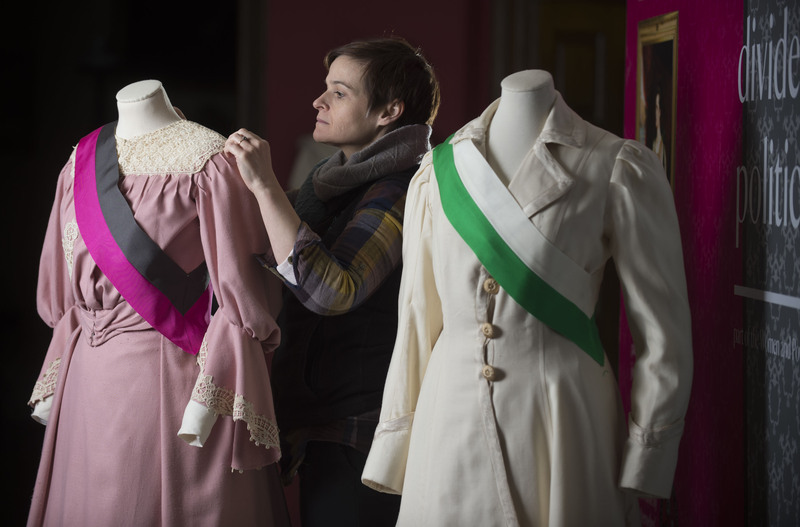 To mark 100 years since some women got the right to vote, the exhibition reflects the timeline of the campaign for women’s suffrage from 1866 until 1928 through the changing styles of fashion. The exhibition highlights the relationship between politics and dress and how this was exploited by the campaigners and supporters of women’s suffrage. Groups involved in the campaign used design and colour to identify themselves and to raise awareness and support for their cause.